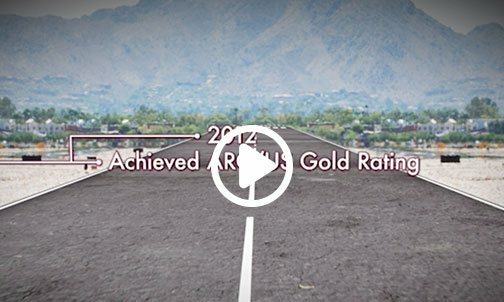 At Angel MedFlight Worldwide Air Ambulance, all of our team members are dedicated to quality patient outcomes for the patients we’re transporting. We believe that starts with our clinicians – that’s why we strive to have the industry’s highest clinical educational standards for our medical flight team. 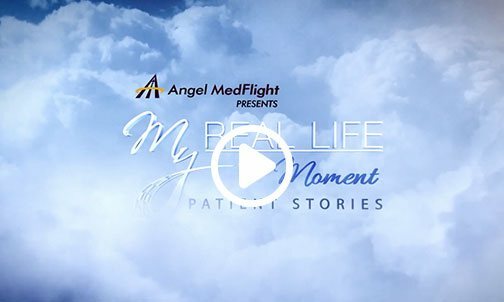 We recently sat down with Flight Nurse, Patrick Powers, to learn more about what makes our educational initiative different and talk about Angel MedFlight’s new training course that will bring our flight certification education in-house. 1. 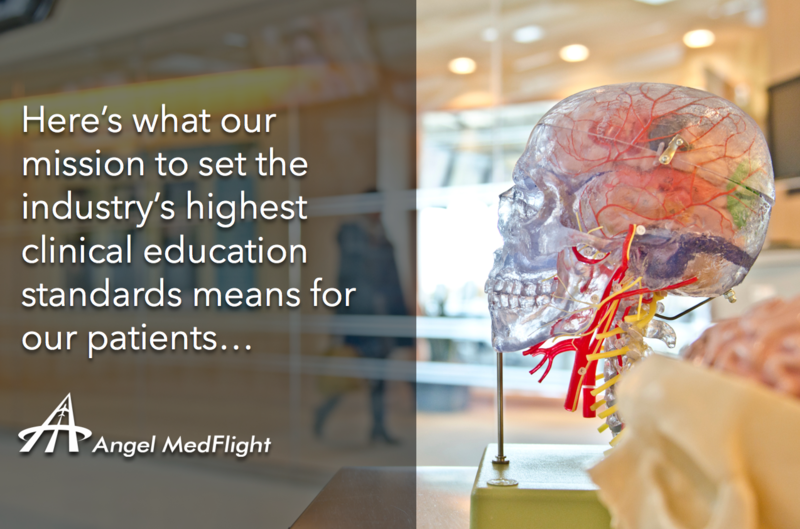 What makes our educational standards so different at Angel MedFlight? 2. What makes certification so important? “What really drives us to become certified is to put the minds of our patients and their loved ones at ease. If I’m ever looking at air ambulance companies to fly my family member, I want to know they’re receiving the best care while they’re in the air,” he adds. “It’s important to have that certification in place to know that a clinician is educated and proficient at what they do. 3. What are some of the basic educational requirements for our medical flight crew members? 4. What are the minimum experience requirements for our medical crew? 5. Can you tell us about the new certification education program Angel MedFlight is launching and why? 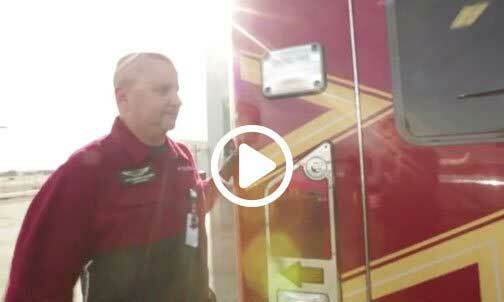 Meet some of our medical crew members. Patrick has worked with our Clinical Director and Chief Flight Nurse, Bambi Pish-Derr, our education committee, and the rest of the clinical team in bringing Angel MedFlight’s Annual Flight Certification Review Course in-house for even greater quality control. The result? Angel MedFlight is approved as an accredited Continuing Education Provider for FP-C® certification. The internal review program includes a minimum of 16 contact hours of continuing education for FP-C certification and renewal and is backed by the International Board of Specialty Certification and the Board for Critical Care Transport Paramedic Certification. Patrick worked with leaders at every level of the company to draft letters of support and submit an outline. 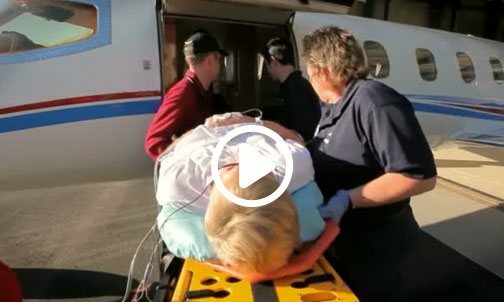 Multiple Angel MedFlight team members have been building out content blocks under their specialties and including their own unique field experience. “We’re following an outline, but you can’t take that personal experience away from it,” Patrick adds. The Annual Flight Certification Review Course covers critical care patients with severe illness, brain trauma and spinal injuries. Angel MedFlight is implementing the course this fall for current and new medical crew hires. You can learn more about our medical flight crew team’s certifications, here.